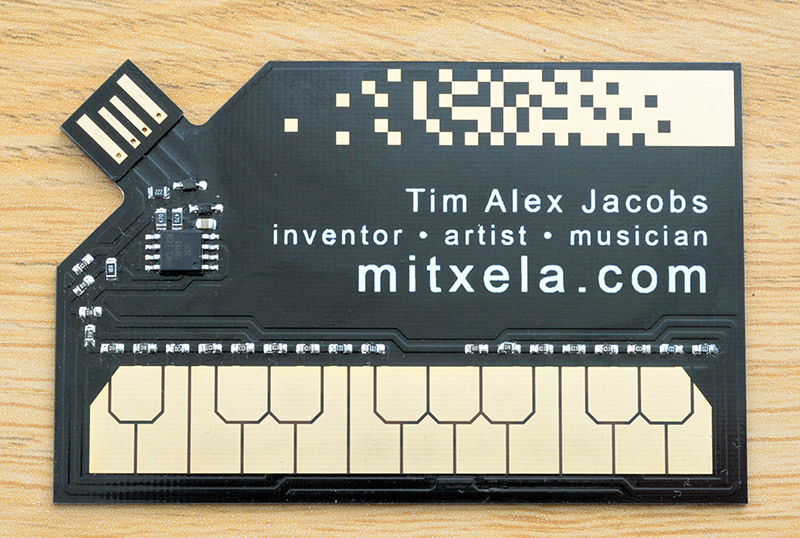 I’ve seen some business cards with circuit boards before, but this one is something special. 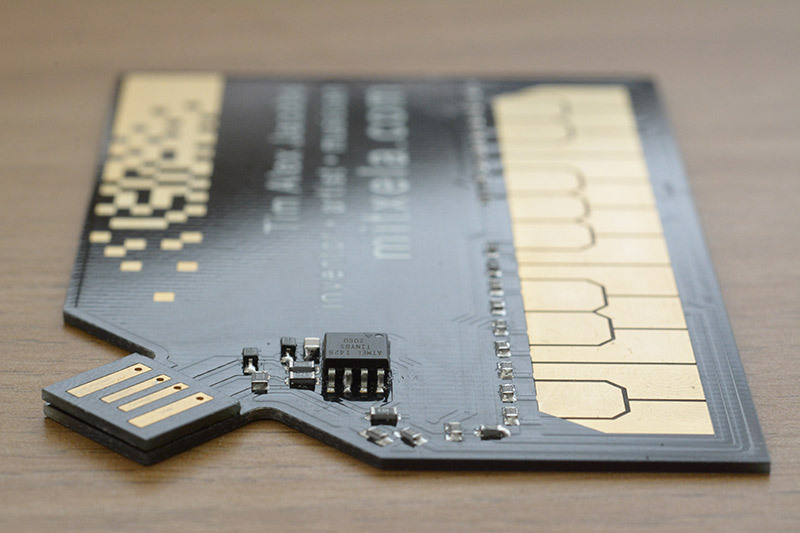 It’s an actual working USB MIDI device with a Stylophone interface – and as he points out, this is the real deal, since an original Stylophone interface itself is a bare PCB. And it’s called the “StyloCard,” the work of Tim Alex Jacobs. For those interested, he goes into some fascinating discussion of how the idea and prototypes developed. And that’s not incidental – he’s managed to sort this out so that he can actually produce this in quantity (which is the whole point). 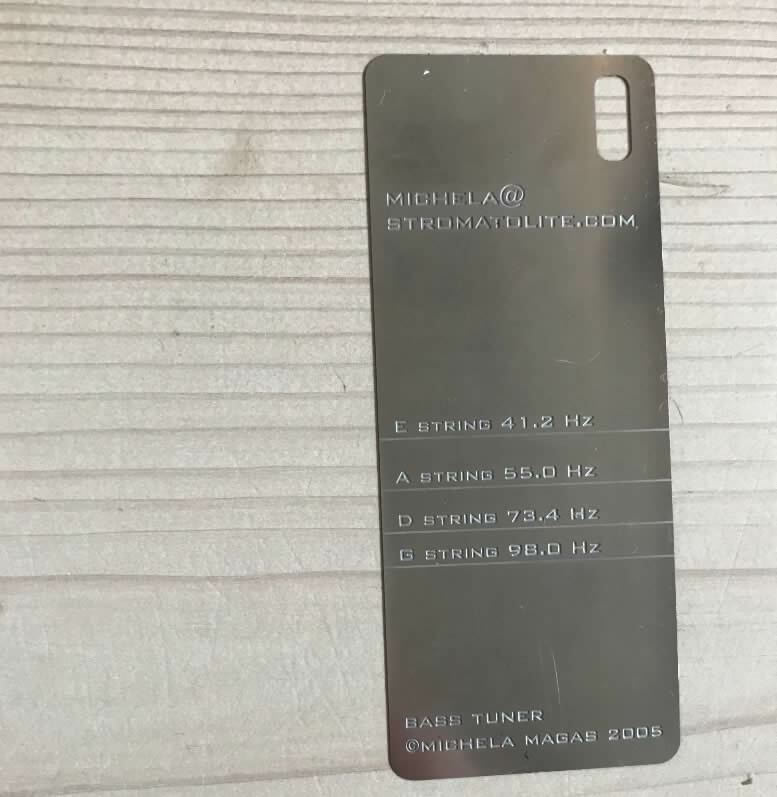 It’s a USB MIDI device only, but that keeps this simple, and those in the know can then use this as a USB MIDI device with anything on their host. Another win for the ATtiny85 chip! And that makes two clever ATTINY inventions on the same day. Photo via Sweden’s Urban ICT Arena (sorry, Michela, didn’t have yours within reach)! Something wrong, Peter? You’re sweating.